Buying Xiaomi Mi3, has to be done only through Flipkart in India. But the pranks, flipkart playing to increase the hype on the apple of china, “Xiaomi Mi3” is kind of marketing strategy. Even the Flipkart has to follow this alternative process to get their phones shipped. Even i tried waiting for the release of Xiaomi Mi3 in india through flipkart. And even i failed to get the smartphone because, flipkart has went down and sales of Xiaomi Mi3 was completed in just 5 seconds. Around 15000 Xiaomi’s were sold from flipkart just in 5 seconds and it even disappointed many customers who has failed to get the phone. 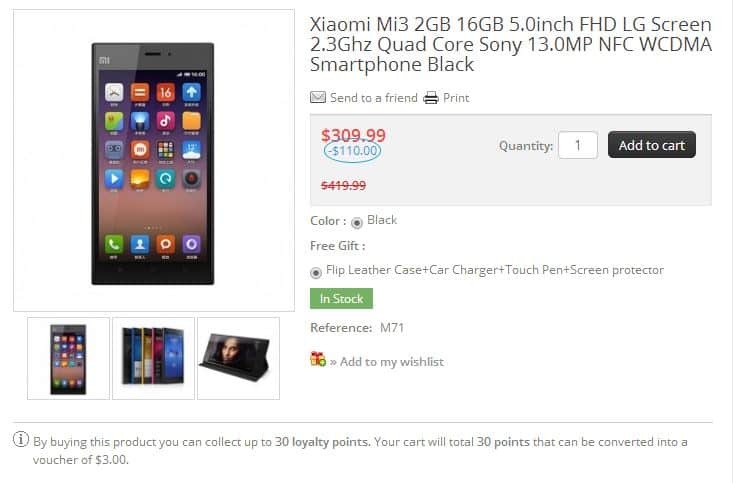 Igadgetsworld has reviewed for a method, an alternative way to buy Xiaomi Mi3 and even Xiaomi Mi4 from direct source itself. The advantages of this purchase is, you will get the smartphone along with its all accessories which flipkart is selling with separate price tags. It takes 7 working days to get the delivery to your home from China through DHL with this alternative method. Go and register to this website: Xiaomi mobile store. 2. With the direct purchase from the Mi store, you will get free gifts like : Flip leather case, which is worth of Rs 699, Chargers and touch pen and Screen protector from Xiaomi is worth of Rs1200. Click on add to cart. 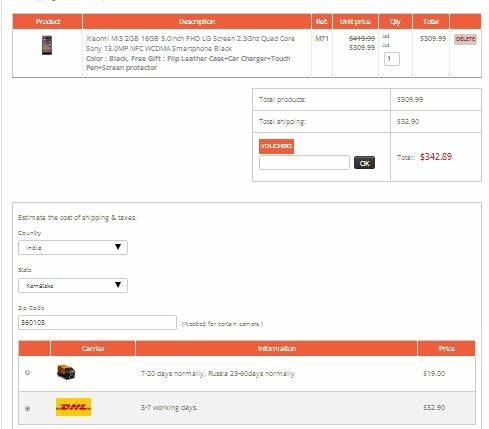 Enter the address to were, shipment has to be delivered and Click on DHL as the Courier service, were Xiaomi Mi3 will be delivered to your home in 3working days. Payment methods we have 4 different ways of payment. This is the best alternative method. Rather than waiting for Flipkart to release Mi3, you can get the phone directly from Mi store from china with free gifts and accessories.